On the beautiful island of Tautra in Central Norway, located at the ruins of a medieval Cestercian dating back to the year 1207 AD – you find Klostergården (directly translated to English: “The Monastery Farm”). It is owned and run by Ståle Anderssen and his son Jørn Gunnarson Anderssen. In 2009, Jørn and his family returned home to Tautra with the desire to develop and manage the traditional family business. In Klostergården you can rent a room and eat delicious homemade Norwegian food in the family’s restaurant. In the farm shop you can buy herbal soaps and ointments produced by the nuns of the new Maria monastery, locally produced cheese and cured meats – and not to forget Jørn’s award winning beers produced in the farm’s microbrewery. 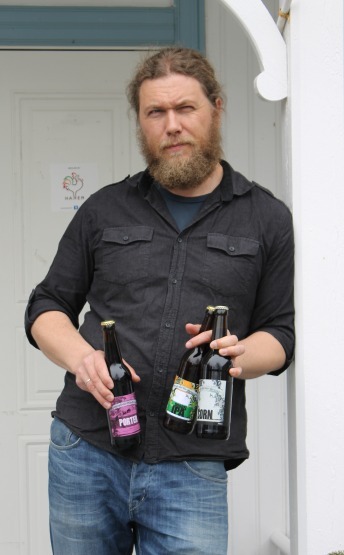 Jørn tells ThorNews that he has been making beer for five years, and that it is sold in the farm shop and in the restaurant. This year, he has been given permission to sell beer with an alcoholic content of up to 4.7% through ordinary grocery stores – and that is really important for the income. – I look to the US and produce beer based on the American craft brewery tradition, Jørn said. Today Klostergården produces eight different types of well-balanced, classical beers: Pale Ale, Bitter, Stout, Porter, Amber, Brown Ale, Blonde and Wit. Jørn also has plans to produce “Sorn”, a beer based on ancient traditions from the Stjørdal area in Trøndelag, Central Norway. 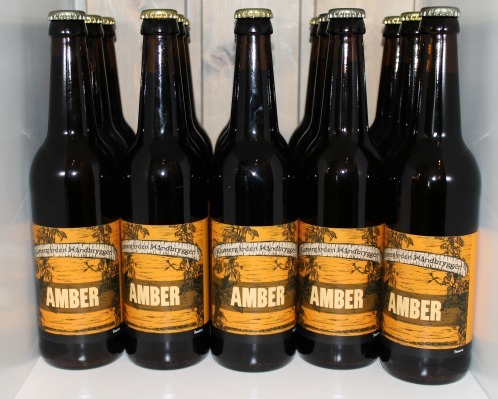 Beer from Klostergården has won numerous awards in the Trøndelag Craft Beer Championships – something documenting the excellent quality. – Skål for good health!